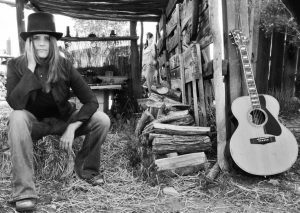 Melissa Crabtree is a world traveling, river running, award winning singer/songwriter/guitarist who crafts original music rooted in her love for the wild, majestic lands of the American West. She has toured extensively throughout North America and has performed in a wide variety of locations, both familiar and unusual, as a result of her parallel life as a river, ocean and back country guide. Melissa has released five CDs and EPs since 2002. She toured the U.S. in a van powered by vegetable oil; she has performed at numerous top-drawer music festivals and has shared stages with the likes of Eliza Gilkyson, Joan Osborne, Greg Brown and Ani Difranco. Dayan Kai is a classically trained multi-instrumentalist, singer/songwriter, vocalist, and producer with a lifelong dedication to music. Equally versed in jazz, blues, world, Americana, bluegrass, folk and rock, Dayan demonstrates a depth of musicality that bridges cultural and musical worlds.